The folks at Porsche Monterey want you to be an informed car owner. Therefore, it is important that you know the difference between carpet and rubber floor mats. 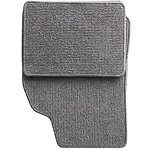 Rubber floor mats are ideal for those who have kids, pets or live in areas that experience a lot of rain, mud or snow. This is because they can be cleaned simply by rinsing them with a hose or wiping them down with a cloth. The only downside to rubber mats is that they tend to come in only a few colors and designs. We here at Porsche Monterey in Seaside understand the importance of keeping your vehicle crisp and clean. 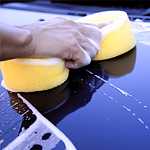 Routine checkups and oil changes are a given, but did you know that washing your car is equally important? We feel it's our job to keep you informed, so here's a quick heads up. Drivers everywhere will be seeing backup cameras appearing on newly manufactured vehicles due to federal laws that were passed in May of 2018. Trading in vehicles in can come in handy in a variety of situations. 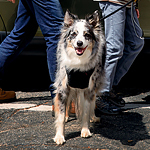 It can be pretty overwhelming to realize that while you were driving with your pet in your vehicle, they shed loads of hair onto your seats and floor. Don't worry, you can make quick work of this mess with just a few simple tips. Get rid of hair on your seats in just minutes by inflating a balloon and running it over the seat surface. The static electricity that is created will cause the hair to adhere to the balloon. 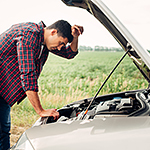 Jumper cables allow you to transfer power from a working car battery to one that is dead. The process is simple, but it's important to follow the right steps. Get the two cars close together, and then turn off the good vehicle. Attach the cables to the good battery first, and don't allow the clamps to touch. Blind spot monitors have become more popular in the past five years. With the addition of sensors and cameras on vehicles, you can now get warnings that help you drive along any road and in any traffic conditions. Blind spot monitors are sensors and cameras that track motion and help you see where you can't, which is especially important for larger vehicles. If you've ever glanced in your rearview mirror while driving at night, only to be blinded by the glaring headlights of the vehicle behind you, you'll appreciate the function that auto-dimming mirrors, also called electrochromic mirrors, perform. Our service technicians at Porsche Monterey wanted to provide a quick explanation as to how auto-dimming mirrors work. Auto-dimming mirrors use a process called electrochromism that darkens the mirror in order to prevent what's called the "Troxler Effect"
If you are the owner of a vehicle, then you know all about the routine maintenance and repairs that come with owning a vehicle. 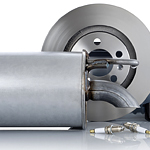 The muffler and exhaust area of your vehicle is very important, but it can require repairs just like anything else does. When this area of your vehicle is in trouble, there are some very common signs that you can watch out for. Make sure to have your vehicle serviced quickly to avoid bigger issues. At Porsche Monterey in Seaside, we keep our consumers informed about how their vehicles function. A differential is an important component that needs to be maintained for your vehicle to run smoothly. A differential is a gearbox that can be found between the drive wheels of your vehicle. If you have a vehicle with four-wheel drive, it probably has a front and rear differential. The differential works with the transmission to move power from the engine to the axle of the wheels. A differential also helps your vehicle turn.